Vacation rental condominium. 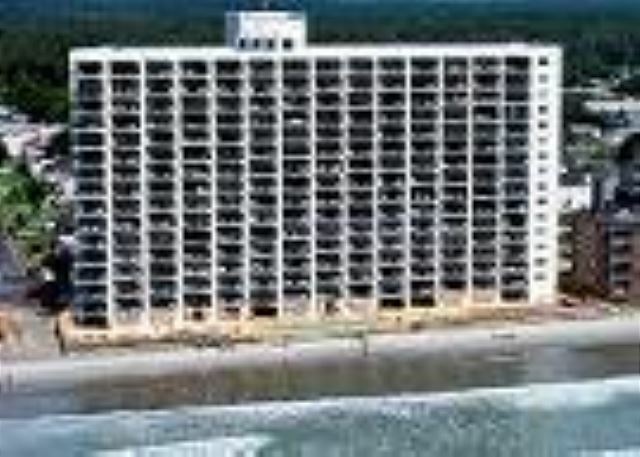 Sleeps 4, 1 bedroom, 2 bathrooms. No pets allowed. 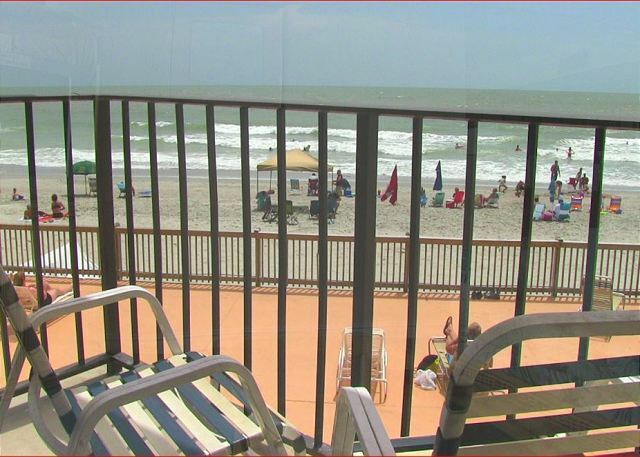 This condo is located in the family friendly Garden City Beach Area just south of Myrtle Beach. This one bedroom condo is in the 16 story high rise Royal Garden Resort. The Royal Garden Resort has a large outdoor and indoor swimming pool, a hot tub and sauna. There is an onsite game room with games for all ages. Linens are included in the reservation and can be exchanged daily for fresh linens. Check-in is on site for easy and fast convince. The resort has a family friendly Beach Bar and Grill. The Beach Bar and Grill is a great place to enjoy a refreshing choice of premium liquors, wine, imported and domestic beers while overlooking the beautiful Atlantic Ocean. The Beach Bar and Grill also has a casual menu selection including hamburgers, hot dogs, chicken fingers,…to name a few. It was great! Except the towels are small and thin, so bring extra. And parking was difficult. Tight spaces and some unable to be accessed bc Of the tightness. But the location and the condo itself was worth the trip! Our first time staying in Garden City, SC. Previous trips were to Myrtle Beach. We enjoyed the location -- not nearly as congested traffic-wise as Myrtle Beach. The rental unit met our expectations. The ocean-front view was great. Kitchen utensils (dishes, silverware, etc.) were plentiful. The A/C worked fine, and this unit has an additional Haier dehumidifier that produced a nice hum that made sleeping easier. The washer and dryer worked fine also. We will likely stay in the Garden City area again. The room was very nice and time at the beach was great. We stayed in unit 102 and had a very pleasant stay. The unit was clean and well stocked. The view was great. It was much nicer than the unit from the previous year. My only complaint was that the cushions kept creeping off the couch when you sat down, but it was not enough to keep us from renting again next year and the loveseat looked like someone had spilled something on it under the cushion.